We offer a wide variety of concrete mixes, produced to clients’ specifications, to meet the many challenges of modern construction.  RTU is now one of the top suppliers of concrete to the Northern Ireland construction and self-build industry. Our ready-mix concrete is supplied according to a customer’s design mix specification. As a multi-purpose product, we offer a great variety of mixes to meet the many challenges of modern construction including pumped, air-entrained, fibre re-enforced, waterproofed, eco-friendly and foamed. With an ever-increasing fleet capacity (up to 8m3 per lorry), RTU is comfortably able to meet the service demands of today’s busy construction industry. Our conveyor lorry is also available to deliver concrete into hard to reach areas or directly into foundations, subfloors or shuttered walls. Any size of order (from 0.4m3) will be promptly dispatched from our plant to meet specified delivery. Customers, if preferred, can also collect their product requirements from our Newtownabbey plant. Quality assured ready mixed concrete, compliant to BSEN206 and BS8500. Over 90m3 per hour production capabilities enabling us to supply to very large pours. Large delivery fleet, including 4 wheel, 6 wheel and 8 wheel lorries as well as a concrete conveyor lorry. Large variety of specialist mixes available including coloured concrete. Proven track record in both the commercial and residential sectors, and with our many years experience we can provide expert product knowledge and advice. Continuous product testing and development, using our own in-house laboratory. Raw materials are sustainably sourced. Reputation for unsurpassed level of service. RTU supply 843m3 of concrete to Adston Construction for the subfloor of the new Lidl Store in Andersonstown, Belfast. RTU supplied concrete for the 6000m2 extension to the UU Art College which included a 28m long glazed bridge walkway between the campus’ two sites over a busy city centre street. A new addition to the Costa chain in Shane Retail Park, RTU supplied concrete during the construction of this coffee shop on the Boucher Road. RTU has worked on some of Northern Ireland’s most challenging and iconic builds, as well as a huge number of smaller projects. You can check out a large selection of these in our Portfolio section of the website.